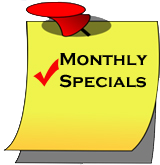 It’s hard to beat the benefits that a nice set of custom fog lights or driving lights can add to your vehicle! The looks and lighting improvements of custom driving lights are well worth the price of purchasing and installing them on your car or truck! First, to clear things up, the purpose fog lights and driving lights are frequently confused with one-another. 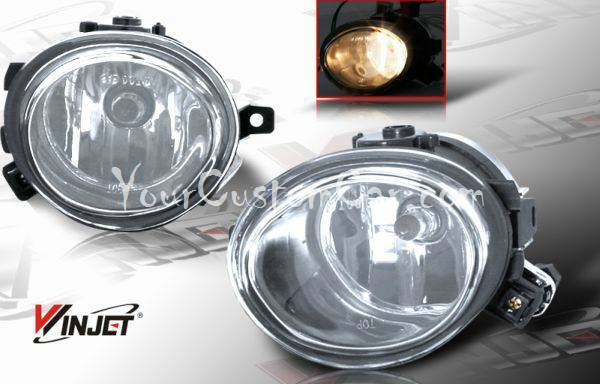 A fog light is technically only to be used when fog, rain, or snow conditions are severe. When heavy rainfall, fog or snow is present, the water molecules in the air will reflect the light from your headlights, especially your high-beams, right back into your face and blind you. This is where fog lights come in handy! Fog lights are designed to shine their light, which is usually yellow colored, at an angle that is wide and low to the ground to reduce the chance of light reflecting back in your eyes. Lights angled in this way will still allow you to see the road better in severe weather, but are not as good at distant lighting as driving lights are. 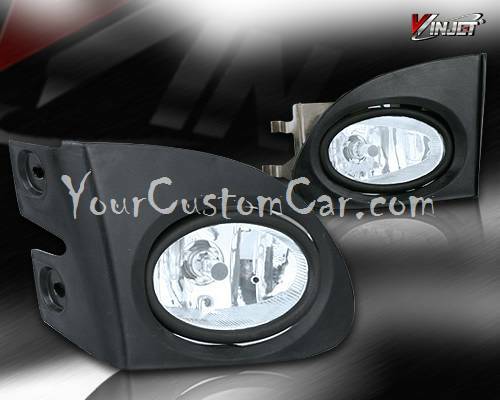 On the other hand, custom driving lights are used to enhance your vehicle's front lighting system. With custom driving lights, the light is sent way down the road to increase your long-distance sight. Driving lights are usually angled slightly downwards to prevent the blinding of oncoming drivers. Although driving lights appear to be very similar to fog lights, they are in a way like having additional headlights. Custom driving lights feature crystal clear lenses for the ultimate in lighting enhancement. Driving lights will typically use a modern and high-tech 9003/H3 style of light bulb. This bulbs feature high wattages and cool coloring like Hyper-White, blue, and even purple. Click here to see the different styles and colors of custom fog lights and driving lights that we have for your vehicle!